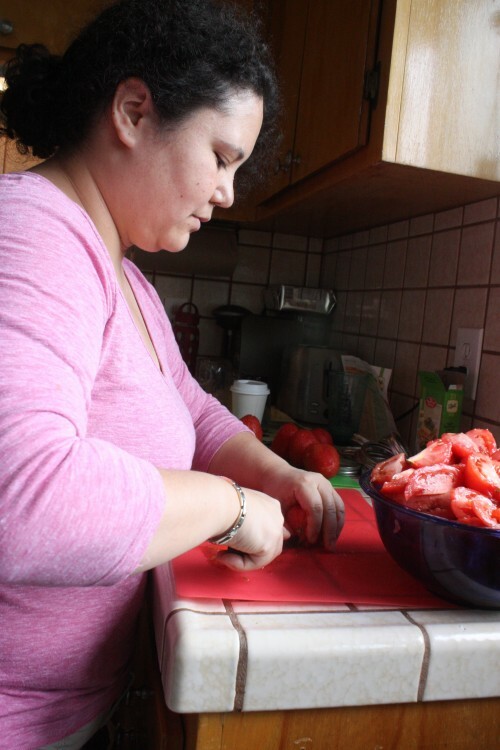 Published on October 18, 2012 in Recipes. 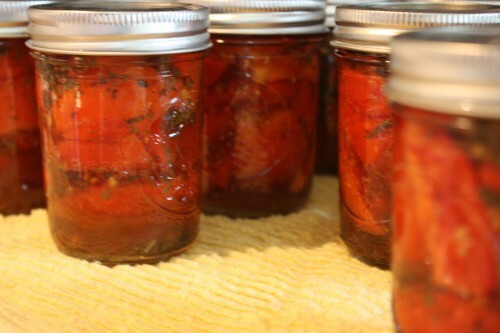 1 Comment Tags: @Madge707, bruschetta, Bruschetta in a Jar, canning, Jessica Kerr, Madge Miller, tomatoes, Voce Communications. 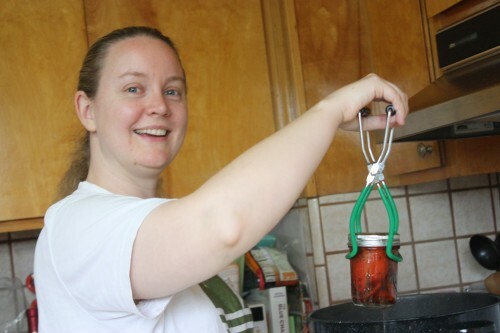 Canning tomatoes for the winter. As we are nearing the end of our summer tomato season there is no better time than NOW to package up all that fresh yummy flavor to savor for the winter. 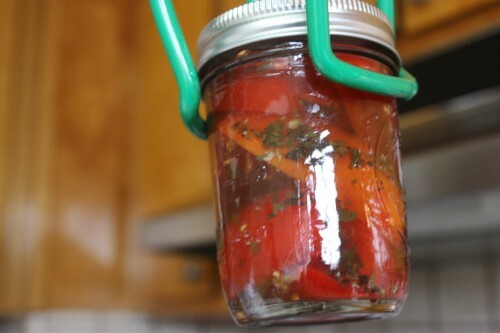 You don’t have to be a canning guru to have fun and spend minimal time doing this. Kids love to help with canning too and there is no denying how great a pantry filled with home made concoctions looks to passers-by. 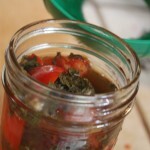 In a large, deep stainless steel saucepan, combine basil, garlic, oregano, sugar, vinegars, water and wine. Bring to a boil over high heat, stirring occasionally. Reduce heat, cover and boil gently for 5 minutes, until garlic is heated through. Remove from heat and set aside. 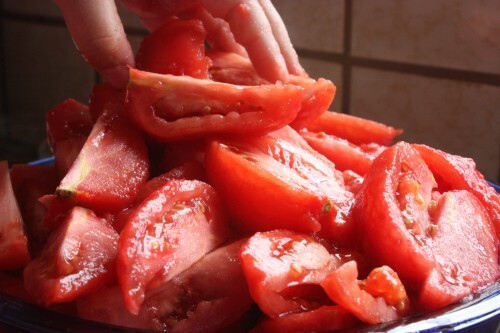 Slice tomatoes and drain in a colander for 30 minutes to remove excess liquid. 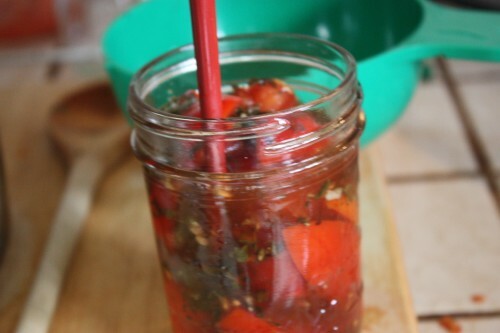 Save this juice as it goes beautifully into an oil and vinegar-based salad dressing. 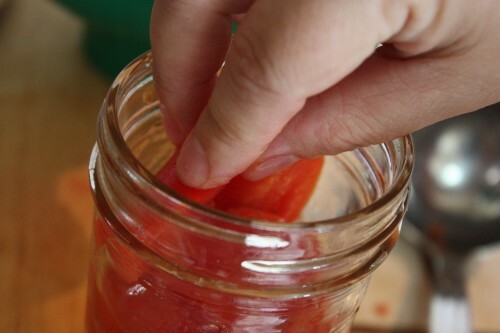 Pack tomatoes into hot jars to within a 1/2 inch of top of jar. 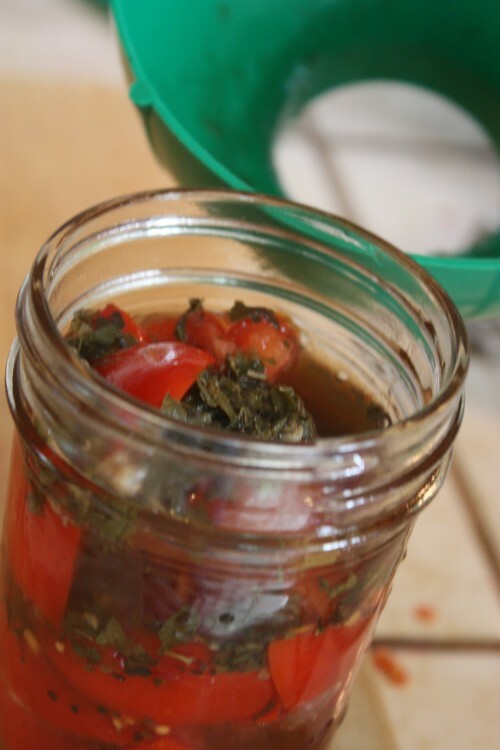 Ladle hot vinegar mixture into jar to cover tomatoes, leaving 1/2 inch headspace. 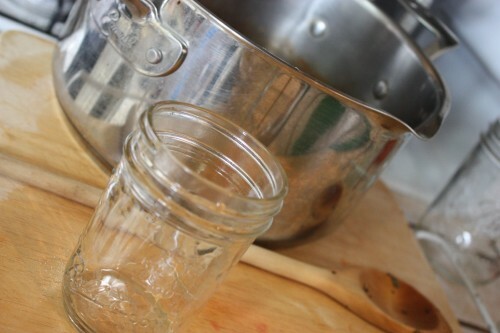 Creating proper headspace in each jar is essential to achieving a proper seal and being able to safely store your jam. This is where the clear plastic ruler comes in handy. Remove any air bubbles by poking down into the mixture with chopstick or skewer. Clean the rim of the jar with a damp paper towel to make sure there’s no stray juice to interfere with the seal. Center lid on jar. 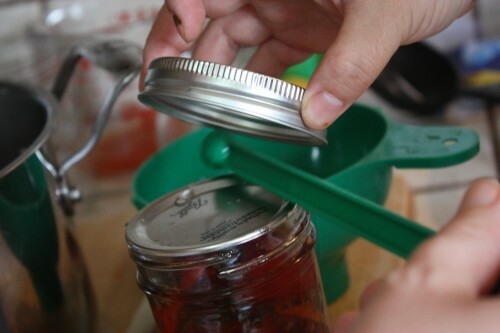 Cap the jar with your lid and tighten the screw band until it is fingertip tight. Note: For this recipe, plum tomatoes work better than glove tomatoes, as their flesh is firmer and retains its shape during processing which is ideal for bruschetta. Plum tomatoes do not need to be drained because they yield little liquid. However, if unable to find plum tomatoes, glove tomatoes can be used. Special thanks to Madge, my go-to canning gal, for organizing and hosting such a power house canning day. 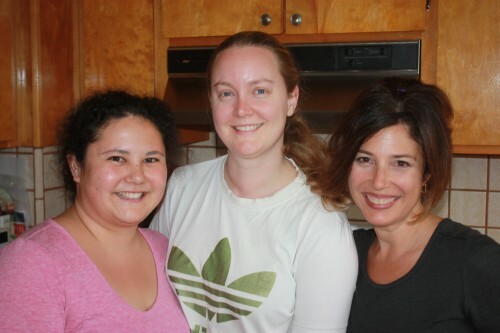 Jessica and I made a great team as we prepared over 30 lbs of tomatoes for an assortment of recipes. 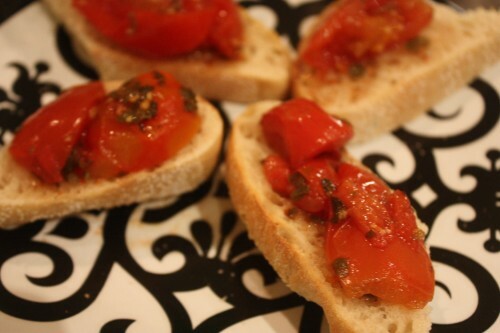 Stay tuned for more canned tomato deliciousness to be posted soon.